It is God's design that every pastor identify and train trustworthy men who fear God, investing them with real authority and responsibility to extend the pastoral ministry of the church. As Moses learned (and New Testament examples show the same), this is done most effectively through small groups. Small groups serve a local church immeasurably by bringing each member into ongoing relationships with trained and gifted small-group leaders who can serve and equip them in many ways. In this manner, the pastors are better able to concentrate on the ministry of God's Word and equipping others for ministry. Our hope at Calvary is that over time our LIFEgroups will become the conduit through which every person in our church is discipled and cared for. To accomplish that goal, we want to become progressively better at passing off the role of pastoral care to our LIFEgroup Drivers as they demonstrate their own capabilities. So... You Want to Start a Group? This article is from one of the small groups directors at Granger Community Church in Indiana. 2. I'm starting a small group with a couple people. We're meeting at Panera. I think you might enjoy getting to know them. You wanna come be a part of our small group?I frequently have people who are well connected to GCC, and they want to get some people together for a group. They typically say, "We have some people in mind to ask about joining our group, but do you know of anyone that might want to join us?" (People are now familiar with our strategy for communication, so they don't ask us to post it in the bulletin.) I take the opportunity to adjust the goal. Bill Reichart is a small group pastor in Georgia. Here is an article about finding answers to tough questions from him "Ministry Best Practices" blog. He lists some great resources. 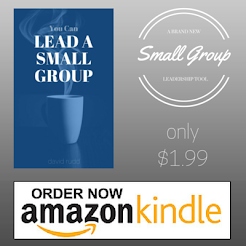 Are you a small group leader? Do you find yourself leading Bible study discussions? Do you ever get those questions from the group that just leave you scratching your head and stroking your chin? Of course, no one expects you to have all the answers - you are not expected to be the Bible-Answer person. You don't have to know everything. And yet, it is always important to know where to go to find answers (and also help with preparation). The cool thing about the internet is that there are so many useful and accessible tools to make the Scriptures come alive. The next time you are digging in the scriptures, either for your personal devotion or in preparation to teach others, check out these on-line resources. Bookmark them and come back to them often. 1.Meet with someone to share a half an hour of prayer.2.Read through a chapter or book of the Bible with someone.3.Write a note of encouragement to everyone in your LIFEgroup.4.Invite a family to your home for dinner and games.5.Volunteer with a friend at a local ministry agency.6.Give away an evening to help someone else with a home project.7.Start or join a Facebook group centered around prayer for one another.8.Have lunch today with a group no smaller than 10.9.Make one encouraging phone call each night of the week.10.Invite two or three others to join you for coffee and fellowship.11.Visit a hospital just to bring encouragement to strangers.12.Share with your LIFEgroup something you discovered in the Bible this week.13.Bring a meal to your neighbors for no reason.14.Find someone at church you don’t know and invite them for ice-cream tonight.